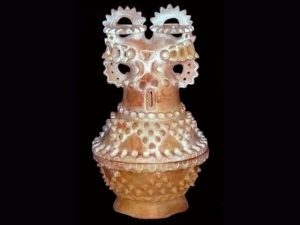 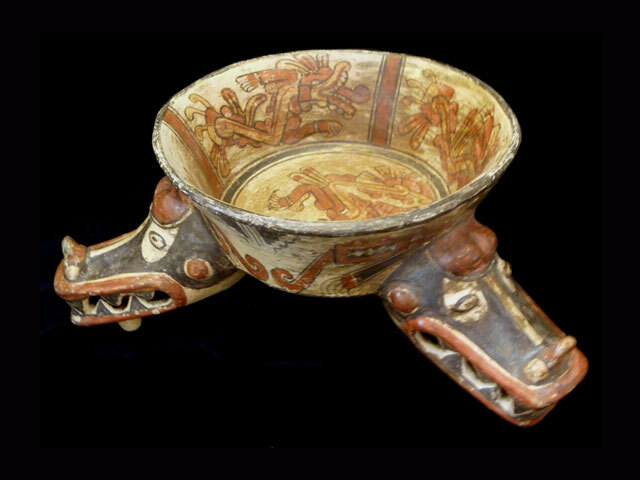 Pottery Vessel 0003 SOLD - Galería Namu – Costa Rica | Online Art Gallery. 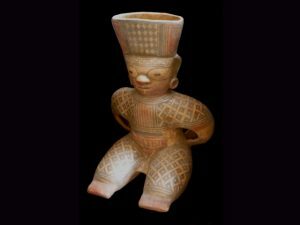 From Costa Rica’s Gran Nicoya Archeological Region, this potteryThese are portraits, a pottery form from this archeological era of which exists many local varieties. The crocodile ‘cult’, a southern-influenced cultural complex, is seen manifest here rendered in this polychrome piece typical of this region. 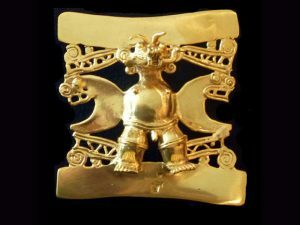 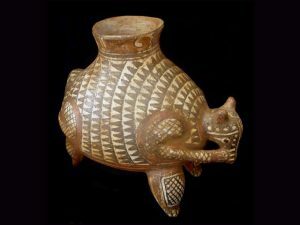 The artisans who created this pottery line, and who lived in present day Guanacaste region, were peoples influenced by both southern (South American) cosmologies as well as Mesoamerican cosmological traditions.